Since it’s unveiling in the 2009 International Motor Show Germany, BMW had announced the production of their new car BMW’s i division. After 4 years the BMW i8 has finally become available to the market and its final showcase before production was at the 2013 International Motor Show Germany where it flexed all its spectacular features. A futuristic spaceship-like design, gull-wing doors, head-up display, rear-view camera, laser headlights and false engine noise to simulate the tone of a combustion engine when driving with the electric motor. It’s a car that stunned the world. 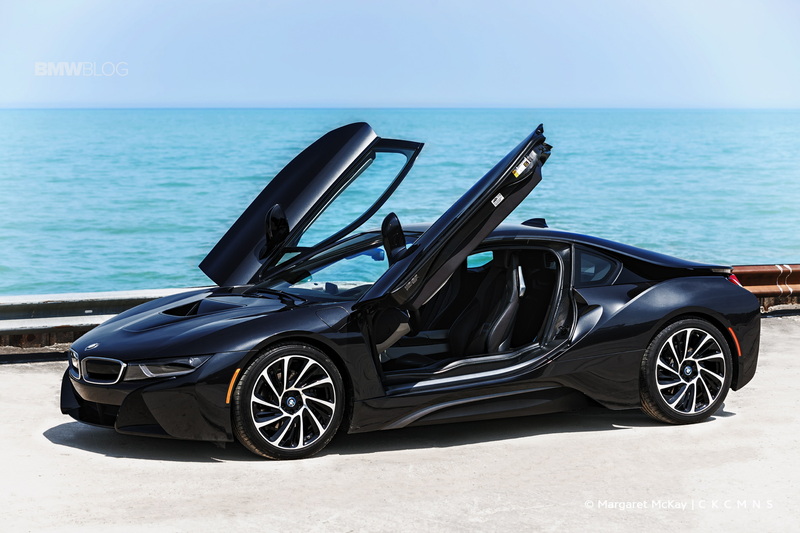 BMW made a mark in automotive history with the i8. BMW designed the i8 to be an agile and efficient hybrid. Initially hybrid cars has always been known to be boring and slow. But since the dawn of the hybrid hypercars; Porsche 918, Ferrari La Ferrari, and McLaren P1, the face of hybrid cars changed and people saw how different their expectations were for the future of electric cars. The hypercar trinity may have changed the way people think about hybrids, but the cost of owning any of the three cars may cost you more than just an arm and a leg. The BMW i8 suddenly steps in with its promise to be both agile and efficient. But the catch is that it’s relatively cheaper than the three formerly mentioned hybrids. To purchase one of the three hybrid hypercars, you must be willing to spend at least $845,000. The BMW i8 costs around $150,000. But is it worth it? The i8 is an incredible piece of engineering. BMW took the hybrid supercar to a whole new level. It’s the second super car that BMW has made. It’s been 32 years since a supercar rolled out of BMW’s factory. The mid-shipped M1 was BMW’s first mass production supercar that ended its reign in 1981. Since then, BMW hasn’t made their presence felt in the supercar market. Now, BMW finally has a new car to compete in the supercar category. A hybrid plug-in supercar with a tiny 1.5-litre three-cylinder MINI Cooper engine, which is turbo charged, together with an electric motor. This tiny engine is not to be underestimated. The i8 has a 6-speed mid-rear petrol motor that powers the rear tires producing 228 hp and a 2-speed electric motor in the front driving the front tires which produces 129 hp. In total, a combined all-wheel drive power of 357 hp. The numbers may not seem like much against its supercar competitors; the Porsche 911, the Audi R8, and the McLaren 570S. That’s all you really need. I mean this car can keep its pace with vehicles in the supercar class. The i8 is equipped with three driving modes: eDrive, Sport, and Comfort. Using the gear selector, the driver can switch through the different modes. eDrive powers the car solely by the electric motor, it can get up to 75 mph/120 kph and gives you a range of 20 miles. Sport mode makes the car drive with both the electric motor and the petrol engine at maximum performance. Sport mode changes the characteristics of the car, maximizing the electric boost, making the power steering more responsive, and the suspension is given a sporty feel; the dampers become firm, reducing body roll for maximum mechanical grip and quick corner exits. Sport mode also charges the battery of the electric motor using kinetic energy during overrun and braking – keeping the battery topped up at all times. Comfort mode balances the car between performance and fuel efficiency. In this mode, the car will manage how the petrol engine and the electric motor will interact with each other. In this mode though, the battery pack doesn’t get charged unlike in Sport mode. The driver also has the option of charging the car at an electric station. You do always not to rely on the petrol motor to recharge the battery. On paper, the i8 gives its beefier engined competitors a close run. In Sport mode, upon acceleration, and while petrol engines turbo charger is spooling, the electronic boost from the electric motor fills in the gap of turbo lag, giving instantaneous peak torque unleashing all 129 hp at 0 rpm. Giving it a stunningly quick 0-60 mph at 4.40 seconds and a top speed of 155 mph/250 kph. The aluminium and carbon fibre thermoplastic wrapped bodywork of the i8 makes the car only weigh 1485kg, which is pretty light for a hybrid, considering the electronics, battery, and the drivetrain of the vehicle. 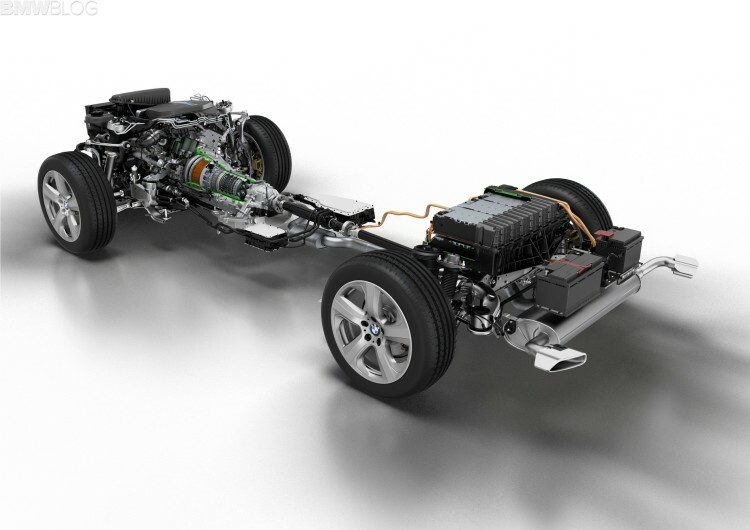 The i8 also has a weight distribution of 50/50 – achieved by positioning the engine and motor over the axles, and the battery pack located at the center of the vehicle. This car means business when it comes down to a performance level. The i8 has staggered tire set-up, meaning, the rear tires are wider than the front tires. Owners are able to choose between two tire set-ups: 195/50 R20’s at the front, and 215/45 R20’s at the rear; or 215/45 R20’s at the front and 245/40 R20’s at the rear. 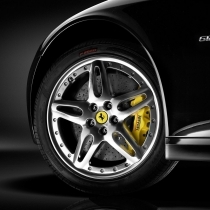 No matter what tire set-up the owner choses, the car will be equipped with a set of Bridgestone Potenza S001. It’s hard to believe that all of this comes from a hybrid plug-in. An additional feature that the i8 has is its false engine noise. Which is actually not that bad. From inside the cabin, the i8 sounds like a flat-six Porsche engine. You really can’t differentiate if what you’re hearing coming from the three-cylinder engine or the electronically simulated engine noise from the stereo. Setting performance aside, The BMW i8 looks absolutely gorgeous. The design looks as if BMW hired a bunch of automobile designers from the future, from another planet. A planet that knows what beauty is. The beautiful design of the i8 can be recognized from a mile away. The sophisticated curves, attractively sharp LED head lights next to the wide kidney grille – which is BMW’s signature grille, and the rear with its alien looking design; which doesn’t look BMW-ish; yet, it works. With everything put together, the i8 will break necks wherever it goes. It’s like a model on a runway. When driving this around town you’ll have to get used to phones flashing at you on the street, and once you’ve settled down to park, you better get used to countless numbers of people asking you everything about the car. And as you hit the road once more, opening the gull-winged doors will always be a sight to see. Upon entering the i8, you’ll be greeted by one of the most beautifully designed interior a car can offer. It’s hard to believe that it’s made in 21st century. Everything inside the i8 is space-age with a human touch. Inside there’s a High-Definition instrument panel, a slick driver-oriented dashboard with a changeable light trim accent that trace along the lines of the futuristically designed dash, leather bucket seats with cloth accents, a standard gear shifter that you would see in contemporary BMW’s. The interior is sublime. Who wouldn’t be motivated to drive such an astonishingly beautiful car, inside and out? The interior is top notch and the exterior is equally as good-looking. The i8 is not only a supercar but also a super-efficient car. Selecting through the different driving modes will affect how the engine and electric motor cooperate with each other. Compared to its gas guzzling competitors, the i8 can do 135 miles per gallon/2.1 litres per 100km. Its fuel economy range does 330 miles/530 km. CO2 is at 49g/km. Driving with the electric motor alone, the i8’s range is about 20 miles/32km. Surprising figures that come from a supercar. But what is it like in the real world? 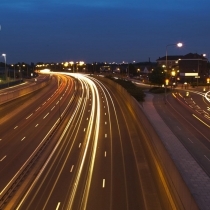 For short distance driving, you can probably save more than you expect. Driving in short distances for daily commute might not require the driver to use the petrol engine. Driving in full electric mode and having access to a charging station will increase your saving. To make the most of the i8’s fuel economy, optimization of the electric motor is key. Having most of the petrol stored in your tank is a good choice to save on petrol. Unlike other electric cars, the driver doesn’t have to worry about running out of electric power. The petrol engine will automatically kick in to aid the electric motors when the battery pack goes below a certain level. BMW must’ve been too focused with making the perfect road car that they totally forgot about its practicality. Carbon fibre is the i8’s main body component, making the car extremely rigid. The consequence, a stiff ride. Those seeking comfort behind the wheel may not find what they’re looking for in the BMW i8. The ride is harsh, and after driving with an aching back, you’ll find it even harder to get out of bucket seats. Getting back inside is difficult as well, you’ll have to duck under the gull-wing doors and struggle to fit your body into the bucket seats. You have to be a contortionist to be comfortable with getting in and out of the i8. Since the i8 is not described as a four seater, the cramped rear seats of the 2+2 seem like it can only fit two six-year old kids in the back. The boot seems more like a storage space to make up for the lack of door pockets and interior compartment. It only has room for one bag. BMW offers a choice to eliminate the rear seats and trade it for luggage space; with this option, your compartment space will be tailor made by Louis Vuitton. Another thing you have to worry about is trying not to scrape the chin or anything under the body. For a road car that claims to be made for daily use, its ride height is ridiculously low. On your regular drive, expect that you’ll be kissing curbs and scraping speed bumps along your journey. Value: Is it Worth Buying? The i8 is an incredible piece of engineering by BMW. The i8 sounds like it answers everyone’s questions. It’s one of the most futuristic forward thinking vehicles to emerge out of Munich in the past couple years. It’s half supercar, half super-efficient car. But still, with all its bells and whistles, the car is not perfect. It’s not a full-bred track car, nor is it the most practical car; considering its low ride height, cramped seats, and minimal compartment space. On paper, the whole package is stunning. Performance is staggering. But can you maximize the full potential of the car at all the time. It’s not like one would take this car to track on regular basis. Fuel efficiency is off the charts, but in the real world it may not be as economical as it claims to be on paper. The question now is, “is it worth buying?” If you can spare $150,000 for a super car, will you choose the BMW i8? That’s all going to depend on your meaning of what is worth your money, considering that some of these cars are outrageously marked up, prices may vary depending where you get your vehicle. Some will say that it’s a bargain for what the car is, while others will say otherwise and claim that it’s too expensive. With everything that the car can offer. The i8 may either, seem like a good deal in comparison with its competition, or it may not even be worth $150,000. It looks like BMW is targeting two markets at once. The supercar fan and the environment-friendly drivers – who have a lot of money. Put them together and you have the environmental-friendly supercar drivers. But will a die-hard supercar lover consider buying the i8? Or the environmental-friendly driver look for a super-efficient car with too much bells and whistles for daily driving? Probably if you’re looking for a fuel efficient futuristic supercar that can be taken on spirited drives and also used for regular commute, it’s worth it. With more than $150,000 at your disposal, it may seem like a tough choice. There are a lot of supercars in the market that can satisfy your supercar needs, and some won’t even cost you as much. With that kind of money, you can also spend it on something cheaper and economical at the same time. The BMW i8 attracts both the supercar fan and the environment-friendly drivers – who have a lot of money. The i8 is definitely a first of its kind. BMW seems to have made a synthesis between the two different car fans, the environmental-friendly supercar drivers. Driver who have their eyes set with the Tesla Model S might have to think harder. Unlike the Tesla Model S, the BMW i8 still manages to be fuel efficient even with a petrol motor, offering the traditional feel of a car. The spirit of the combustion engine is what car enthusiasts still want to feel when driving. The sensation of a petrol motor makes the car feel alive, it fills the gap of the numb driving experience of an electric car because there’s no induction noise, no exhaust note, and no explosive tone as the tachometer’s needle rises or declines. And drivers know that the stereo system isn’t fooling with false engine noise trying to convince them that a petrol engine sits somewhere in a non-existent engine bay. In the i8, there really is one. But will a die-hard supercar lover consider buying the i8? Or the environmental-friendly driver look for a super-efficient car with too much bells and whistles for daily driving? Probably if you’re looking for a fuel efficient futuristic supercar that can be taken on spirited drives and also used for regular commute, then it’s worth it. With more than $150,000 at your disposal, it may seem like a tough choice. There are a lot of supercars in the market that can satisfy your supercar needs, and some won’t even cost you as much. The Tesla Model S is going to be its greatest rival in the fuel efficiency department. It costs less, and in the real world, it’s more economical. From the perspective of a full-bred supercar, the Porsche 911 may be the go-to car. It costs nearly as much and is known in the car community as one of the best performing supercars. Keep in mind that it’s not going to be the fastest supercar, but it’s not like you are buying an i8 to use on a track. 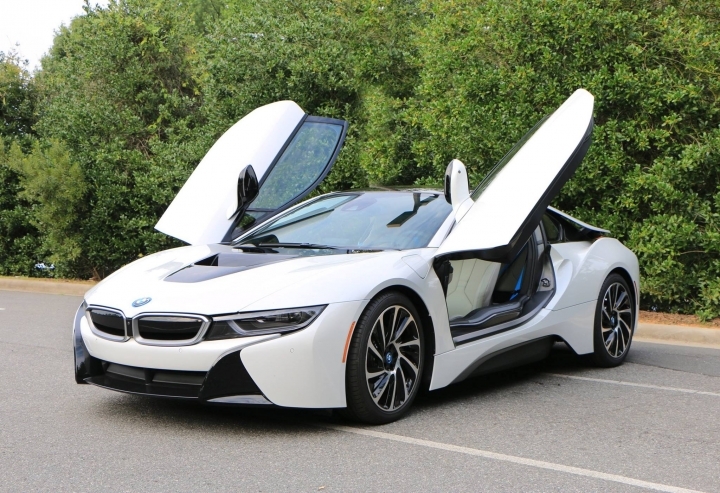 The i8 is a hybrid toy for the wealthy. It will make you feel like you’re contributing in sustaining the well-being of the environment, even though that statement is highly questionable. The BMW’s extrovert design is irresistible. But as mentioned earlier, practicality is something that isn’t as well thought of by BMW, if that’s not a problem for you then it may be a good choice for you. At the end of the day, only you can decide whether any vehicle is worth more than $100,000 hard-earned cash. If you want a fuel efficient futuristic supercar that can be driven every day, it’s worth it. If you can withstand the draw backs of its practicality. If money isn’t a factor but you care about the environment – or at least want to care, it’s also probably worth it as well. For everyone who doesn’t fit in this description then probably not worth buying, or not worth your money.